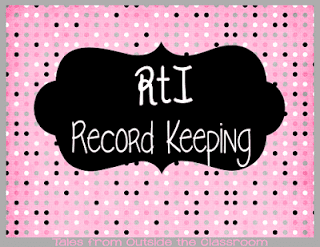 I’ve been wanting to share my record keeping process for my RtI groups but my photos came out blurry. So, then I took some new ones. Those are still blurry but I figured I’d share them anyway! 🙂 As many of you know, I spend a lot of my day working with RtI students and oversee my building’s RtI program. I did this in a previous position at a previous school as well. The ideas I show work for me (I’m still a paper/pencil planner) for my pull-out groups, but I definitely think a similar system could be used within the classroom as well. I have a binder that I use to write and store all of my plans. I called it Tier 3 because that’s what my original plan was to do- only Tier 3 students. Of course, that didn’t work out, but I just kept it that way. I found these nifty dividers. Each one has a double sided folder as well as the tab. I love this because it lets me store copies of what we’re working on next, and it also holds my index cards with skills. Of course, I forgot to take a picture of those. Each file has index cards with skills laid out. At the beginning of the year, after we did our NWEA Map test and I identified my students, I went through and identified the skills they needed to work on each strand. Each strand has its own card and that’s where I recorded it. If I’m looking for something to work on instead of what they’re doing in the classroom, I go back to the card to find skills. 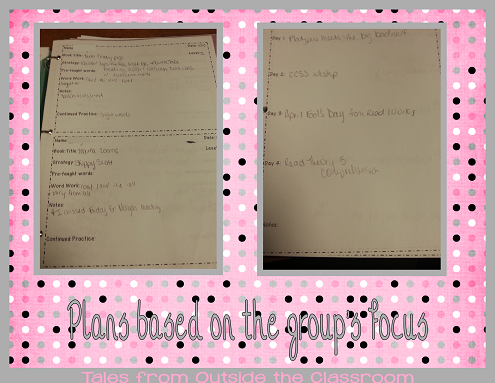 Then I have lesson plan sheets depending on the group. I have 3 different formats at the moment. The one on the left is what I use for my 2nd grade reading students. I do a modified guided reading with them. On this form I identify the book, the reading strategy we will work on, and any words I’ll teach them before reading. We read differently each day (sometimes they whisper read, sometimes we popcorn read aloud, sometimes they partner read, etc.). On the 2nd day, or whenever we finish the book, we usually do word work based on the book. This is usually phonics skills that are found in the book as well as sight words. I also record any observation notes, and an area for continued practice (like reviewing vowel sounds). The lesson plan on the right is the one I use with most of my older reading groups as well as my math groups. I generally see each group 4 days per week so this lets me plan things out a week at a time. With older students, when we’re reading a book, it’s much easier to plan this way. As you can see this time, it was a hodge podge of multiple choice practice since we are prepping for the multiple choice state test. That was my planning, but I also record my information for others to see. We have a shared drive in our building, so we put an RTI folder on that drive. 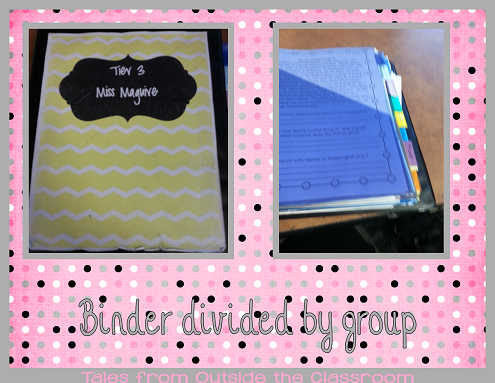 Each grade level has a folder and each student has a file. This makes it easy for the classroom teachers to see what we work on. 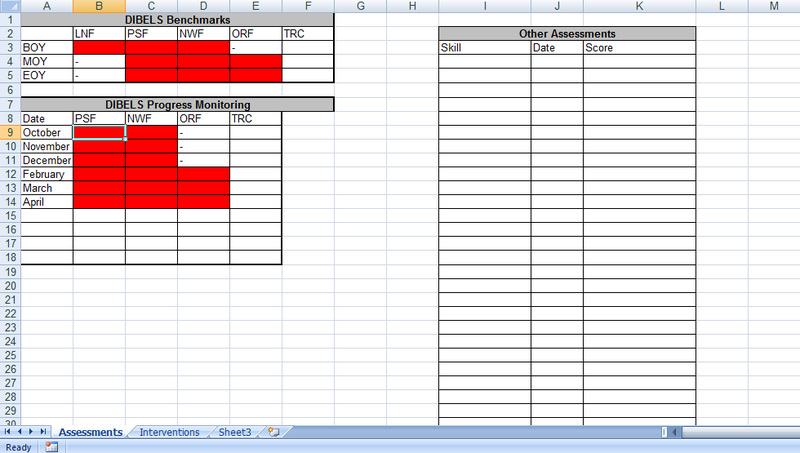 The first page in the excel sheet is our assessment sheet. This is one from 1st grade. We do mClass so the left reflects that. The right shows other assessments that might be done (letter sounds or sight words, for example). On the second tab of the file is where we record what we work on. We do this weekly (but quite often play catch up). In the instruction column we record reading level of book read, comprehension skill, etc. It’s not extremely detailed. 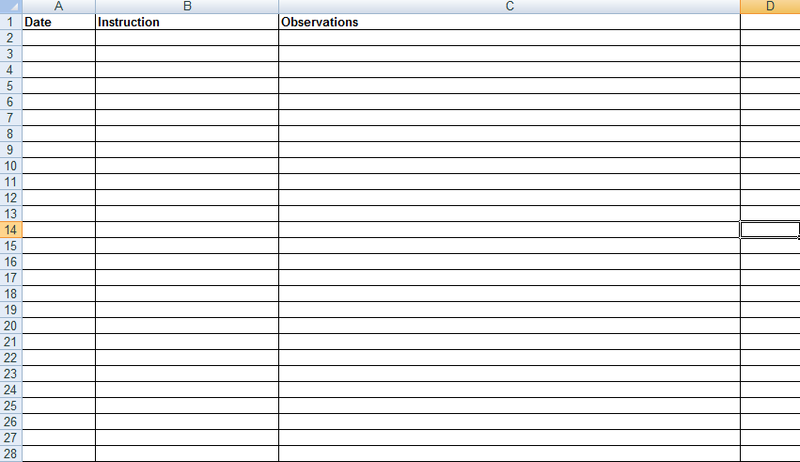 The in the observation column we record things specific to that child. Some may not have anything for a couple weeks. We’ve also been experimenting with having the teachers record information on another tab. This allows us to see what interventions are happening in the classroom, or how students are doing. It’s been difficult for the classroom teachers, especially since they record information in other ways, so we’re still working out the general formats for that. I hope this gives you a few ideas on how you can record information on your RtI students both in and out of the general education classroom. How do you record RtI information in your building? I would love to know what you do for interventions for the tier 2 kids? Is this done by the classroom teacher or is this done by a interventionist that comes in to the room or pulls them out and works with them one on one or as a group? Generally I’ve had assistants doing many tier 2 interventions, especially in reading. However, I’ve often done many myself during morning work, recess, and as I get a few minutes.